Is your home improvement business getting the most out of Facebook? With 1.09 billion people logging onto Facebook every day, many companies are on there promoting and sharing their content to attract the attention of homeowners and potential new prospects. In fact, around 77% of B2C businesses acquire customers from Facebook – a stat that proves it could be worth while investing a little bit of time in! Perhaps you’ve already joined but are feeling disappointed with the levels of engagement you’ve seen so far, and are wondering if it’s actually worthwhile for acquiring new home improvement leads – or maybe you’re only just thinking of setting up your FB page for the first time and want to know where to start. Either way, you’re probably going to want to know how you can get more Facebook likes and fans, which is why I’ve put together some of the best tips online to help you get there faster. Assuming you already have a Facebook business page and name set up, you need to begin by optimising your page with all the relevant information people are going to need to find you. It’s important to do this to ensure your page can be found by the people who need it most. TIP: For those just setting up for the first time, be sure to choose your page’s name wisely, as you might only be able to request a change once. Once you’re done, it’s time to start welcoming new fans to your page! 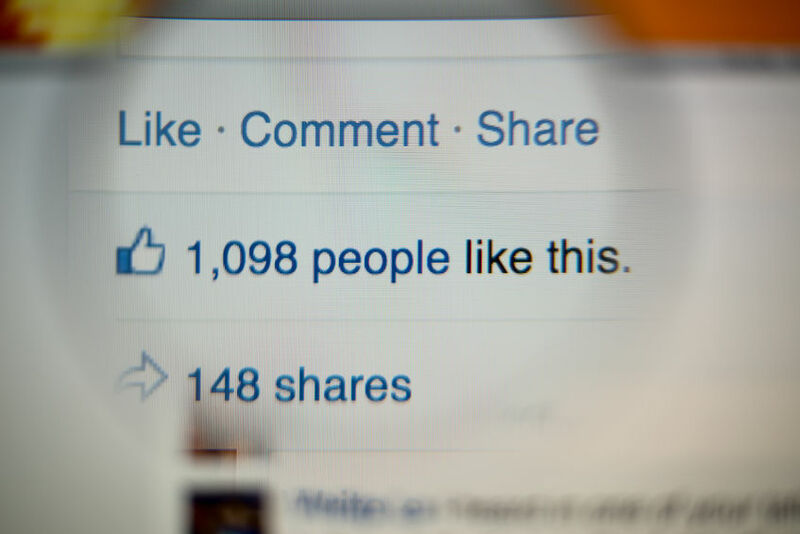 This may seem the most obvious place to start, but the first people you should go to for likes should be your own Facebook friends and followers. According to the Pew Research Centre, the average Facebook user has around 338 friends, and you can invite them by using the handy ‘invite’ function on your page. Encourage people to share your page and invite their own friends to join. This should help you establish at least a few more fans and provide solid foundations to sending your page well on its way to success. Next, you can look to other sources to help build up your FB likes even more. For instance, if you have any other social media accounts (such as Twitter or Instagram), you can post your FB page’s URL and encourage your followers to sign up for FB extras. Next, send out an email to everyone on your contacts list and those who have subscribed to your newsletter etc. by letting them know the added value they can expect from signing up to your Facebook page – for instance, they might learn about new offers and discounts amongst other extras. A ‘join us on Facebook!’ button displayed somewhere prominent on your website can be a good way of engaging with visitors who are still looking around and deciding on the service or product they need. Perhaps they might want to direct a question to you on Facebook, or check your latest updates. According to the below infographic, over 125 million websites around the world already use this feature to help encourage more Facebook fans. Adding ‘share’ buttons to your website or blog can be another great way to encourage people to share your content – it may also alert them to the fact that you have a page that they can follow for more updates and great content. According to a recent report, 35% of Facebook fans like a page so they can enter competitions and prize draws – and words such as ‘winner’, ‘contest’, ‘win’ and ‘promotion’ also increased engagement with users. Facebook competitions can be a fantastic way of boosting your Facebook fans, especially if you make ‘liking’ your page a condition for winning. The prize can be up to you; perhaps you could give away a free conservatory, boiler, or hot tub – or it could be something much simpler. The beauty of a Facebook competition is that it’s just so easy to do! Simply type out the instructions required for entry – such as ‘like’ and comment ‘YES PLEASE’ to win – and all your basic info such as when the winner will be announced and exactly what the prize is, and you’re off to a good start! You’ll probably want to post your text with an enticing photo of the prize in question, and always encourage them to share your competition on their page. I’d also recommend ‘pinning’ your competition post to the top of your page by choosing ‘featured post’ from the dropdown menu at the side. There are even online tools to help you choose a random winner from all the entries you receive! You may already have an idea that getting people’s attention on Facebook can be very tricky – just getting your posts seen can feel like an uphill struggle. However, according to marketing expert Amy Schmittauer, there is a surprisingly simple way to help you increase the amount of people who see your regular content. All you have to do is ask your fans who have already liked your page to choose ‘get notifications’ from the dropdown menu on the ‘liked’ button towards the top of your page – this will ensure they will start seeing more of your brilliant posts, and that way they’ll be more inclined to share with their friends, too! Finally, introducing a call-to-action (or button) somewhere on your blog encouraging users to ‘like’ your page can be another great reminder that yes, you are on Facebook. Perhaps something like ‘Want to see content like this on your FB newsfeed? Like our page’. This post will tell you exactly how to add a ‘like’ button to your blog – it’s not as complicated as you might think! By now, you should have some inspiration for getting your home improvement company’s first 1,000 Facebook fans – it’s not as hard as it sounds! It might not happen overnight, but soon, your Facebook following should start to grow – especially if you’re also putting out lots of regular content, photos and status updates. I’d recommend going away and spending a couple of hours trying some of the tips above, and let me know how you get on in the comments section! I have been searching ways to improve my blog’s traffic and how can I make people read some of the best stories and articles that me and my team have published on our website. This post just gave me some of the most valuable lessons and I must say I feel a bit relieved right now. I am sure just like me, many other bloggers would be delighted to hear more tips and lessons from you. Looking forward to reading your next masterpiece.